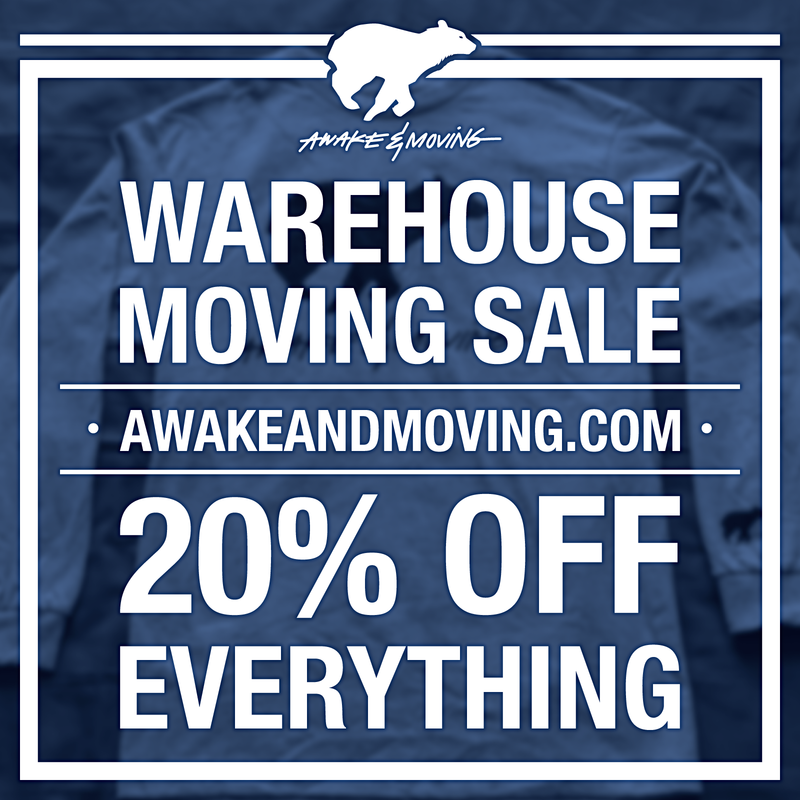 Awake & Moving: Warehouse Moving Sale. As we gear up for Spring 2016 releases, we are in the midst of moving! 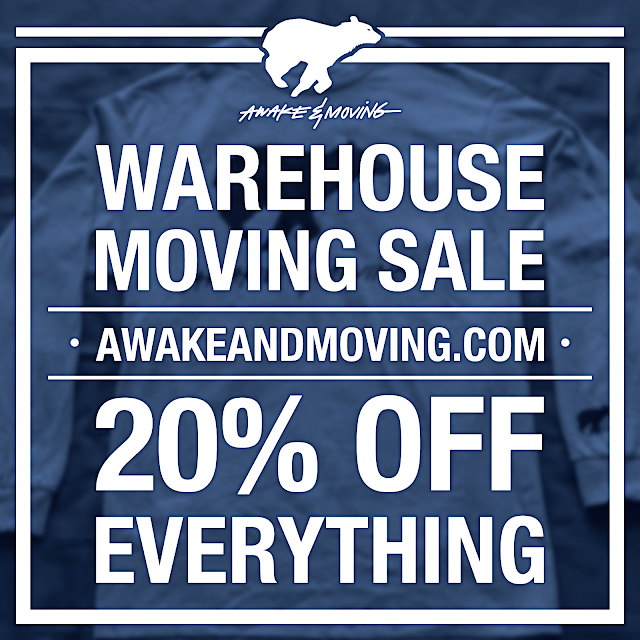 In an effort to make the move easier and less stressful, we are reducing all products in the online store. Hopefully, this will also help your pockets and wallets and leave you with extra cash for important things like pizza and another month of Netflix or Spotify Premium. There is no need for a coupon or code, everything has already been marked down accordingly. I want to thank all of you who have copped any of our gear since our relaunch last summer. It's been great seeing so many of you in my latest creations and sharing great stories and photos through the blog the way I had originally intended. Having constant content to share with you all and making it a point to post often has really made all the difference. Thank you for your continued support and be on the look out for more stories, new products, and other sales in the coming weeks. I appreciate all of it!